Super hydrate YOU with premium alkaline water ionizers! Transform your tap water to clean, healthy alkaline ionized water. Balance Body’s pH for Optimal Health. Take back your tap today! with the cleanest, healthiest alkaline water possible. 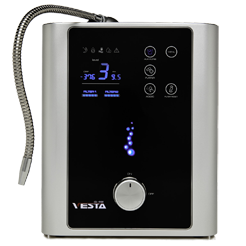 The Vesta GL 988 Water Ionizer contains the best of water ionization and filtration for alkaline water. 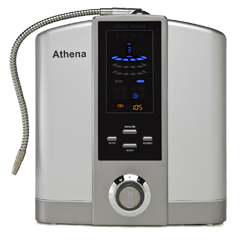 The Athena Water Ionizer is reliable consistent powerhouse of healthy alkaline water. 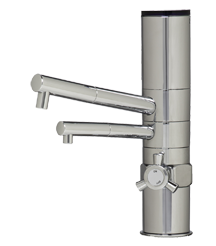 Ultra Delphi, Elegant design, ease of use, for the world’s cleanest, healthiest water in your home. 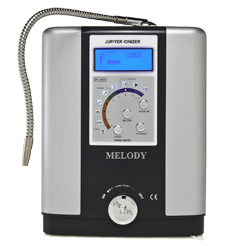 The Melody Ionizer is a reliable product. You get proven performance features, at entry-level price. At healthalkaline.com we strive to bring you the best, reliable water ionizers on the market. There is no shortage of water ionizer brands out there and choosing the right water ionizer can be frustrating. 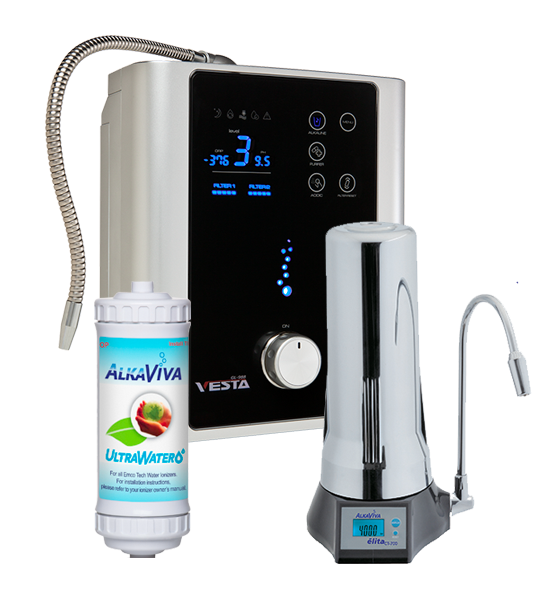 We narrowed your search for a water ionizer and chose to highlight AlkaViva's water ionizers because of their long history and experience in advanced water ionizer technology. In partnership with Emco Tech and Samsung, AlkaViva's water ionizers offer you the cleanest, purest, and healthiest ionized alkaline water possible. If you have any questions about our water ionizers, contact us. The Perfect Pitcher – Alkaline Water Filter – Club Hydrate!